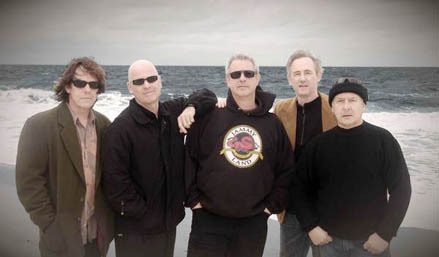 « 4/12/07 The French rock band TRUST in concert near Marseille at l’Usine at Istres December 2sd !! 1977-2007 : Happy 30th Birthday TODAY !! #73 GANGgajang singing for Meltingpod before jumping on stage at Perth Western Australia !! GANGgajang introducing their production to the world ! 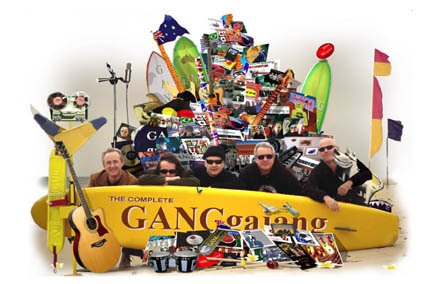 GANGgajang is an Australian band formed in 1984 which is in fact for me Buzz Bidstrup’s family and friends. This GANG is a collective of creative individualities who are all active in different areas the whole year and who join each other sometimes for a tour or some shows : it’s maybe the secret of their long friendship and the fact the band still is alive and happy together right now ! I recorded that “interview” last February 2007 on Buzz’s mobile so the sound quality is not perfect but I hope you will have fun to listen to it. They were heading a show at Perth Western Australia and they spoke to me just before jumping on stage so they are all very excited !! Special guests : I opened the show with Buzz’son DJ Climax ended with Buzz’s wife Kay who sang in the band with her sister Marylin in the earlier days and I play a song from my friend Ed Kuepper “the way I made you feel” to thank MELTINGWORLDS’s first happy donators who are all Ed’s and Saints’ fans and I hope surely now will become GANGgajang’s fans too ! At the end an extract of the Pig City Concert at Brisbane July 14th with the Riptides a band formed with a lot of GANGgajang’s members. GANGgajang serious on the beach… cold in Australia ?…:) Left to right : Robert James, Geoff Stapleton, Buzz Bidstrup, Mark Callaghan, Chris Bailey. After this first connection, I thought to record a lot of individuals interviews later but Buzz as you know is the Bon Scott Celebration Concert’s artistic director and after their successfull performance in February 2007, the CD’s launch last October, he is organizing right now the new show February 24th 2008 to erect the statue for Bon Scott with the collected money. If I add for the new listeners Buzz is also the co-director of the Jimmy Little Foundation who worked to give an healthier future for the Indignous Australians and was the whole year the Angels‘ and Party Boys’ drummer…you know what I mean… there never was enough free time for him to do something more with me than this podcast. Maybe later…who knows ? Anyway I recommand to you to try to order their DVD about more than 20 years with videos, interviews, their very successfull tour to Brazil…it’s a true pleasure to watch them making music in this ambience of family. This entry was posted on Mercredi, décembre 12th, 2007 at 11:49:18	and is filed under Australia, The Angels (aka Angels city), bands promotion, phone interview. You can follow any responses to this entry through the RSS 2.0 feed. You can leave a response, or trackback from your own site.